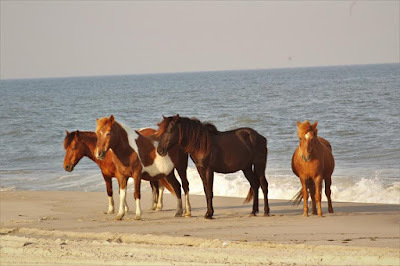 For fans of the Chincoteague ponies that run "loose" on the Chincoteague National Wildlife Refuge in Virginia, there is an app available for identification, there are books available, and one can also visit DSC Photography's website and see photos of each and every pony through the seasons. 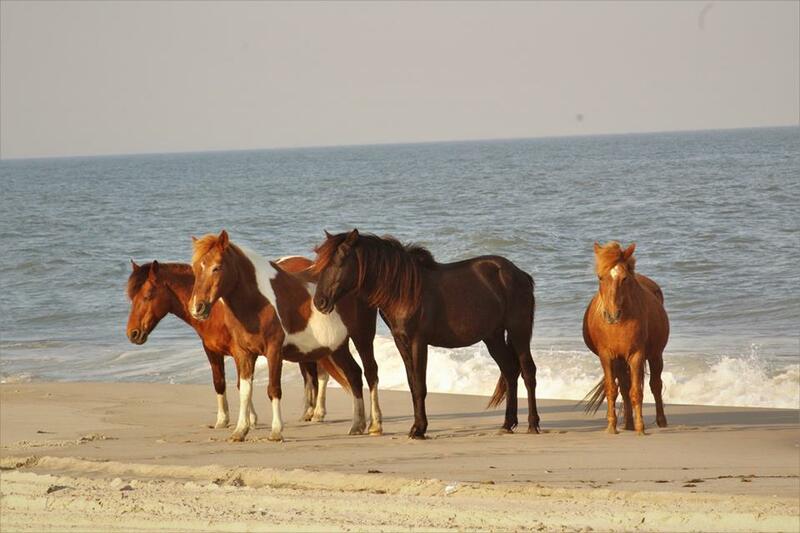 On the Maryland end, the wonderful group, Assateague Island Alliance, has also set up an app for identification of their ponies - but it can't be used or downloaded to a regular old PC. 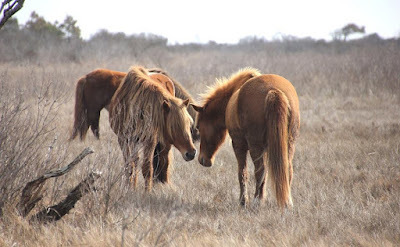 Since I do not own a "smart phone" (nor do I wish to do so), I have been compiling photos of the Maryland ponies for identification purposes. I am going to share them, in small batches, with you. ** Please note that some of these photos are copyrighted. Do not copy or use them in any illegal manner. Respect the time and effort the photographers took to get these photos. ** For some of the more elusive ponies, I have only been able to find one photo, or two, and sometimes only with another pony... I'm still looking for more.